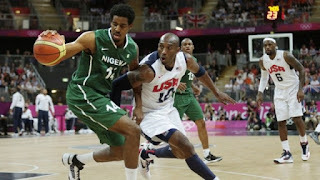 Home / Unlabelled / 2017 FIBA UPDATE: CAN D'TIGERS DUPLICATE THE FEAT OF D'TIGRESS? 2017 FIBA UPDATE: CAN D'TIGERS DUPLICATE THE FEAT OF D'TIGRESS? Nigeria's D'Tigers Saturday night put up a better performance in their second game of the 2017 FIBA Men's AfroBasket Championship in Tunisia as they defeated Mali 90-67points to remain the Group A leaders with four points, Completesportsnigeria.com reports. The defending champions who had a tough game against Cote d'Ivoire on Friday were impressive on Saturday as they ended the first quarter with a 20-16 points lead. The performance also boosted their confidence in the second quarter which helped them to score 19-17 points against the Malians and finished the first half with 39-33 points. 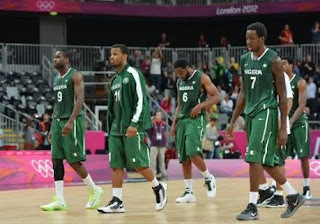 The Malians came out stronger in the third quarter but could not stop the Nigerians who again dominated the quarter and went into the last quarter with another impressive performance to end the game with 90-67 victory. Nigeria will face Democratic Republic of Congo on Sunday in their third game of the FIBA Africa tournament.